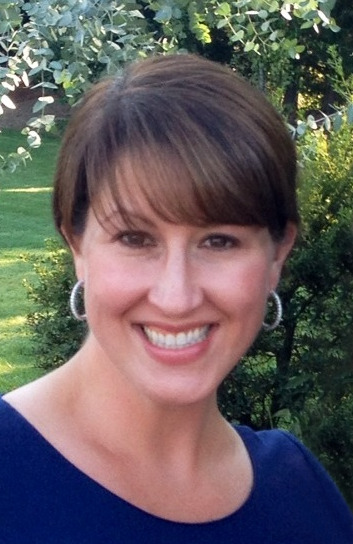 Welcome Jessica Neal, Our New VP of Talent and Human Resources! Last week we reached some major milestones within our community, which now surpasses more than 100 institutional partners, 5 million students, 700 professors, and 500 courses. Such growth could not have happened without the hard work, dedication, and passion of our teams. As we continue to scale our company to support broader growth, we’d like to acknowledge an internal milestone as well with the hiring of Jessica Neal, our company’s first VP. Jessica will be critical to our recruiting and HR efforts, and will play a key role in helping us build up Coursera’s team and culture so that we can, in turn, build better products and experiences for students. Jessica comes to us from Netflix where she spent more than 7 years and was most recently the VP of Talent and Talent Acquisition. While at Netflix, she built the internal recruiting team that scaled the organization from a DVD by mail service to an innovative and successful video streaming platform. Later, she took on the important role of Human Resources to support employees and leaders across the company. In addition to driving company growth, Jessica was also instrumental in evolving the company culture. Jessica got her start in recruiting as a head-hunter at an agency focused on placing technical talent, after receiving a Bachelors in Fine Arts from the School of Visual Arts. Read on to hear from Jessica herself about what drew her to Coursera and what she hopes to accomplish in her first days at the company. What led you to join Coursera? I was ready for a new challenge, and found myself inspired by Coursera’s mission, its core team of employees, and the fact that the company is truly doing really innovative work within education, a field with major impact and great potential for advancement through technology. Coursera has also identified within the company a core set of values that I can really relate to – including putting students first and caring for teammates. It’s a culture of passion-driven work, support, and collaboration, and it aligns nicely with the philosophy that, if you have a culture that enables people to be successful and lead initiatives they believe in, this in turn affects your company’s success. In the case of Coursera, it will allow us to better achieve our goals of educating the world, and is a great foundation to build the company upon in the coming months. What would you define as Coursera’s culture? At Coursera, you have a nice intersection of intelligence and passion. There’s a strong drive and hunger among employees to do amazing things and change the world. Every person that I’ve met here has inspired me not just with their talent but with the way that they care for the company and each other. What are your priorities at Coursera? We’re rapidly growing our teams to build better products, support partners and faculty, and give students better experiences, which means we’re looking in all directions. One thing that I think will make Coursera really attractive to prospective employees is that we offer an incredible opportunity to tackle complex problems. We’re creating a platform for delivering education that simply didn’t exist two years ago and we’re constantly experimenting to make it better. For our engineers this means focusing on challenging technical problems, while for others working on product and design, it might mean trying to figure out how to create an online education experience that works as well for someone in a remote area with limited access to computer as it does for someone here in Mountain View. We’re thrilled to have Jessica here to help our team grow. If you find yourself interested in specific job opportunities, please check out our Careers page.